Photo: Richard Ross. Los Padrinos Juvenile Hall. Downey, California. The passage of proposition 57 on the California ballot this year no longer allows prosecutors to direct file criminal charges against minors. Prop 57 now requires judges, instead of prosecutors, to decide whether or not children should be prosecuted as adults and face an adult prison sentence. This move no longer allows such a decision to be politically and emotionally driven. Instead it emphasizes the likelihood of rehabilitation of minors as they mature into adulthood, while also considering any mitigating circumstances. Prior to this change in law, prosecutors only had 48 hours to decide whether or not to direct file criminal charges against a minor into adult court. Such a time period did not allow prosecutors to gather any additional evidence about an accused child in making their decision. In fact, within 48 hours they barely know anything of a case. Any physical evidence is still being analyzed, interviews are still being conducted and official reports written. In a murder case, the full autopsy may not even be complete. Yet the law required the prosecutor to decide the fate of a child before the information could be collected and analyzed. This has been our system since California passed Proposition 21 in 2000. The state of California probably doesn’t even know how many children it sent to prison over the following 16 years. With the passage of Prop 57, prosecutors will now have to petition a juvenile court judge to transfer a minor to adult court. The juvenile court judge will be required to consider the likelihood of evidence based rehabilitation as “evidence shows that minors who remain under juvenile court supervision are less likely to commit new crimes” (Prop 57 Official Voter Information Guide) Juvenile court judges will also be required to consider any mitigating circumstances and the detrimental impact of sending a child to adult prison. Not to mention the child in question will have a lawyer arguing on their behalf to remain in the juvenile justice system. Politically driven prosecutors will no longer have the only say. But what about the thousands of minors who have already been sent to adult prison under Proposition 21? 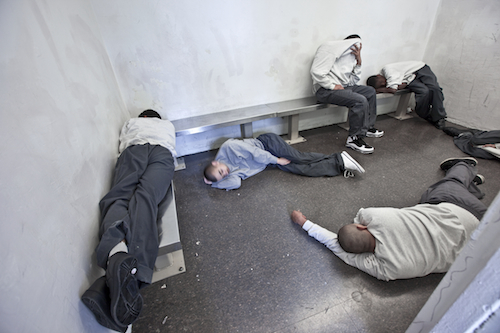 For 16 years California prosecutors have been direct filing juvenile cases into adult court. In fact, prosecutors in Yuba County, California have direct filed against 55% of all juvenile cases (Wikipedia: California Prop 57, 2016) There are untold thousands of California minors wasting away in adult prisons, denied access to real rehabilitation, surrounded by grown adult criminals ready to prey upon the weak. Will these children be forgotten to a system that failed them? Over 13 years ago the prosecutor in my case, Joseph Alexander, decided to direct file charges against me. My fingerprints had not even been taken when this decision was made. While today it is a proven fact that there is no physical evidence of any kind against me in the case; one has to ask: what was the basis of such a rash and drastic decision? Why would a prosecutor supposedly seeking truth and justice be so quick to make this fatal decision? Because a draconian law, Proposition 21, gave him that power. Power that is so easily abused and was thankfully stripped away by 63.6% of California voters. Prosecutors will never again be able to direct file against children in California. Then why is it that thousands of California children remain in adult prisons even after the law has changed? For minors, including myself, there was no juvenile court judge to consider the evidence based rehabilitation, mitigating circumstances, or the detrimental impact of sending a child to prison. We were direct filed into adult court by a prosecutor making an emotionally driven political decision. This is how our fates were decided. How is this fair? How is this legal? How is this constitutional? California believes minors should not be direct filed into adult court- now what about the countless thousands who have already been given this unfair outcome? Will they become a lost generation of California’s child prisoners or will California do what is right to correct the past? This entry was posted in Uncategorized and tagged California Law, JLWOP, Prop 57. Bookmark the permalink. I would like to get an update on this if possible. My brother falls under this as well, he was direct filed in 2002. Although he was guilty, no one was hurt physically. He was never given a chance for rehabilitation or even the thought. We’re hoping that we can atleast get a fitness hearing now. We are sorry to hear about your brother. We are not qualified to offer legal council. Hoping the best for you and your brother.